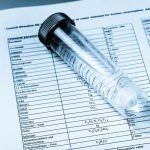 You may hear this opinion expressed in regards to selecting a laboratory water system, but be aware that the ‘company’ you choose to purchase your purification system from, makes a substantial positive or negative difference. If you are buying a system for your organization you need acceptable answers when asked, “Why?” By way of example, let’s consider the analogy “It doesn’t matter what company you buy your car from – you’ll get the same quality.” It’s true, all dealers are selling the same model cars but we all know that the after purchase service is the key to continued satisfaction. 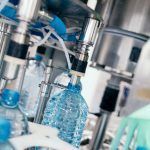 Likewise, you can assume that the product you select to deliver ASTM Type Quality Water for your molecular biology, protein, and cell culture research requirements is from a reputable vendor and will provide the type of water promised. Often, however, the sale will not include set-up, testing, or after-sale assistance. 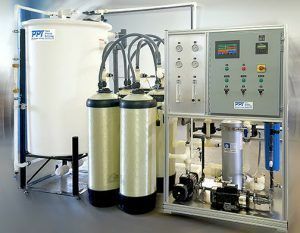 Let’s begin with what you need to know about purchasing a water purification system that integrates RO and Deionization. Determine how much water your lab needs now for lab water systems, and if possible, anticipate requirements for future use as well. Many smaller companies will outgrow their systems rather quickly, especially if their research or production takes off. Some technical specifics that factor in. You will need to determine your ‘Flow rate’ or how many gallons distributed you need per minute, as well as how many gallons per day will be required for your work. You also want to pay attention to the rate at which a system can fill a reservoir tank for reserves. Ideally, you want a system that you can set and forget. Once these numbers are decided you can check on a vendor’s website to match your requirements with a suitable product or call or email them for assistance with this process. Are you dealing with spatial limitations? 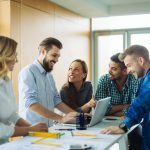 Other considerations include looking at the space available, equipment access to your space, and the expected service requirements. All of these items can impact your project significantly. Any reputable vendor will be asking these questions right away. Use research to qualify your selection. So, now you know – most water purification systems may be able to deliver high-quality ASTM type water and results, but not every vendor will build and service your WPS with the same level of experience, commitment, and integrity. Choose wisely. Your boss will thank you for it.